When the winter weather is crisp and clear there’s nothing quite like strapping on your skates and gliding across an outdoor ice skating rink with your friends. 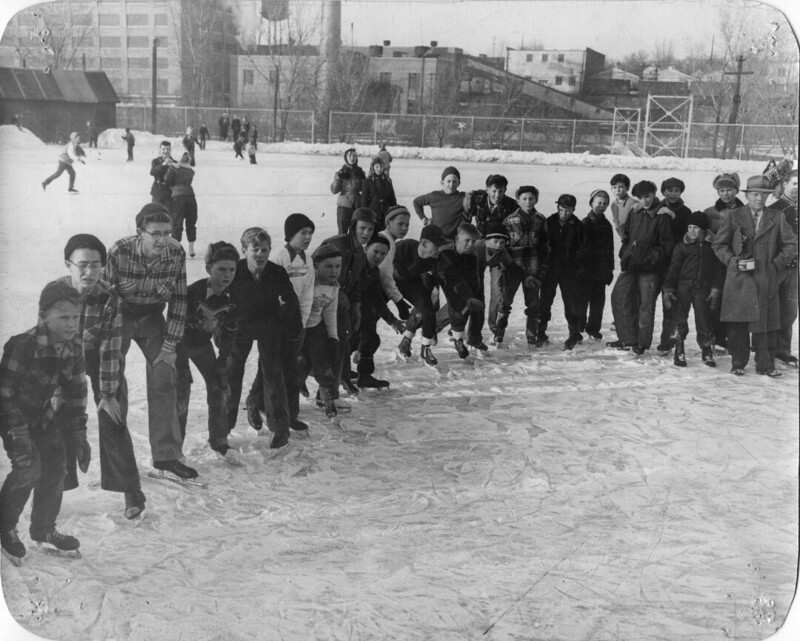 That’s what these boys were ready to do in this photo of Eau Claire’s Boyd Park from sometime in the 1950s. Likewise, the U.S. Rubber Co. tire plant – shown in the distance across the Eau Claire River – is now called Banbury Place as if filled without dozens of shops, offices, and art studios. What else do you think has changed in the neighborhood? What has changed about how kids dress in the winter over the past 60 years?